Er. 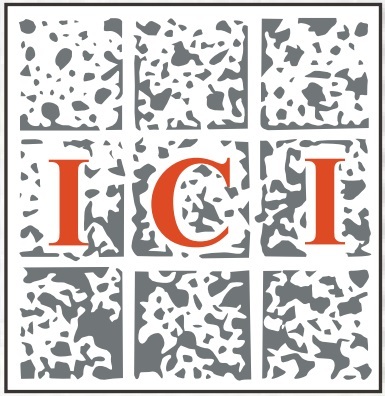 Jeesh Venmarath, Chairman, ICI Calicut Centre inaugurating ICI GCEK Student Chapter. 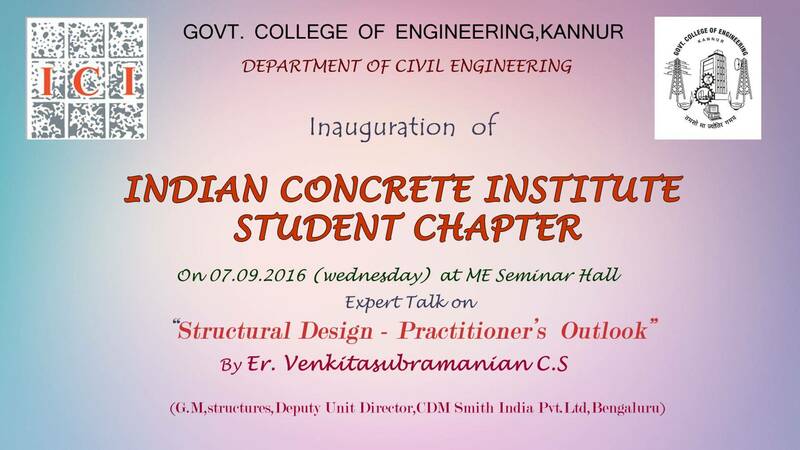 Indian Concrete Institute Students’ Chapter was inaugurated at Govt College of Engineering Kannur, on September 7, 2016. Dr. T. D. John, Principal of GCEK conveyed the presidential address and motivated students to conduct more such programs. Dr. Ashalatha R, Head of the Civil Engineering Department, welcomed the gathering and she said that ICI student chapter will be very useful to bridge the gap between the academic and practical field. Felicitation speech was given by Mr. Venkitasubramanian C. S General Manager, Structures, Deputy Unit Director, CDM Smith India pvt ltd, Banglore, Mr. Shaju K, Mr. Mathew Sebastian, Prof. Saji K P (Staff Advisor, ICI GCEK) and Mr. Arun Padmanabhan (Civil eng. Association Secretary, GCEK). Mr. Manikandan.C, Student coordinator, ICI GCEK delivered the vote of thanks.